Ben Affleck (Batman) revealed the full trailer for Batman v Superman: Dawn of Justice on Jimmy Kimmel live. Batman v Superman: Dawn of Justice is the highly-anticipated action adventure starring Henry Cavill in the role of Clark Kent/Superman, and Ben Affleck as Bruce Wayne/Batman. The film also stars Gal Gadot as Diana Prince/Wonder Woman, with Amy Adams, Laurence Fishburne and Diane Lane returning from Man of Steel, Jesse Eisenberg as Lex Luthor, Jeremy Irons as Alfred, and Holly Hunter in a role newly created for the film. Jason Momoa will also be making an appearance as Aquaman. Fearing the actions of a god-like Super Hero left unchecked, Gotham City’s own formidable, forceful vigilante takes on Metropolis’s most revered, modern-day savior, while the world wrestles with what sort of hero it really needs. And with Batman and Superman at war with one another, a new threat quickly arises, putting mankind in greater danger than it’s ever known before. Batman v Superman: Dawn of Justice is written by Chris Terrio, from a screenplay by David S. Goyer. Charles Roven and Deborah Snyder are producing, with Benjamin Melniker, Michael E. Uslan, Wesley Coller, David S. Goyer and Geoff Johns serving as executive producers. 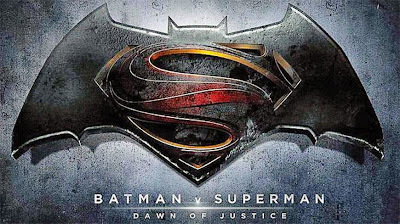 Batman v Superman: Dawn of Justice is set to hit theaters worldwide on March 25, 2016.